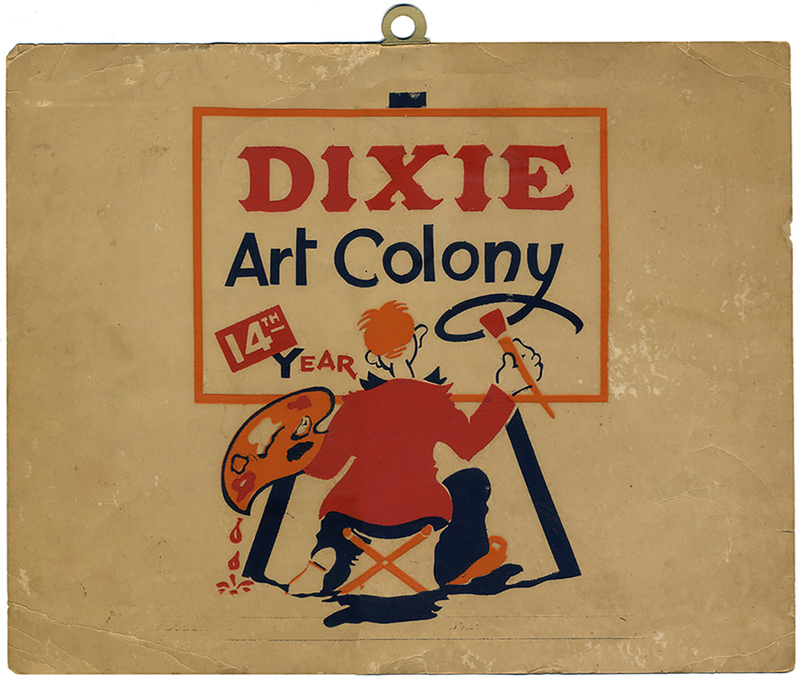 Shown are just a few examples of the many Dixie Art Colony related collectables the DAC Foundation has assembled. Our collection includes actual items ounce owned by the colonists, books, magazines and a variety of ephemera including brochures, cards, notes and letters to and from colonists. 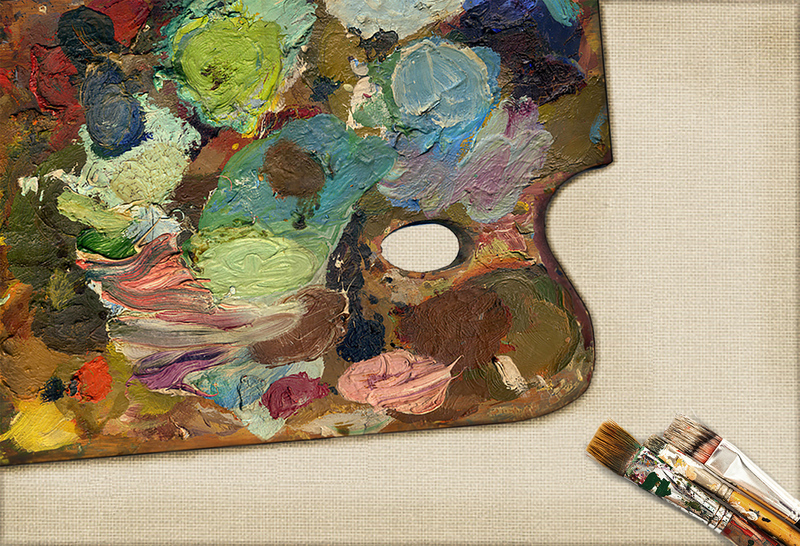 A used wooden paint palette donated by the family of Lousie Everton that was once owned and used by Kelly Fitzpatrick. Wrapping paper with a caricature drawing of Shiney Moon. Illustrations by Walter Keith. 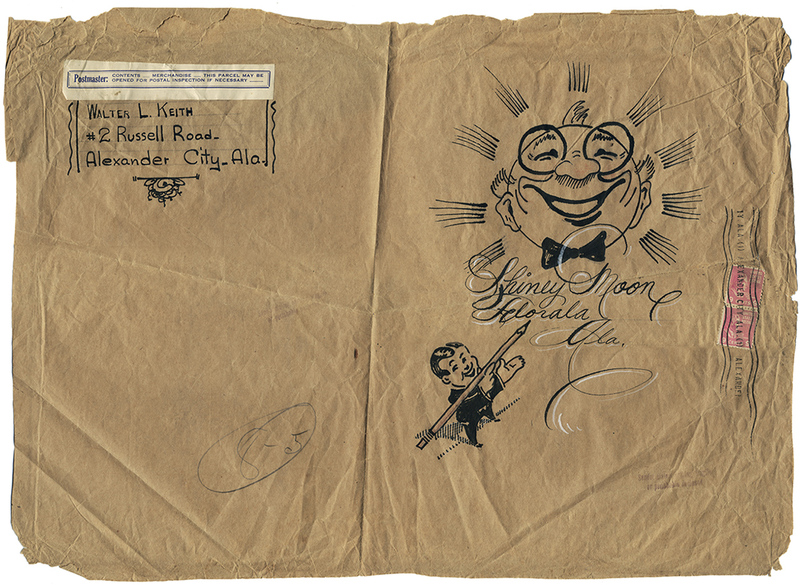 The paper was donated by the family of Shiney Moon. A hardcover copy of American Art Today: 1939 New York World's Fair. The book contains entries by several of the colonists. 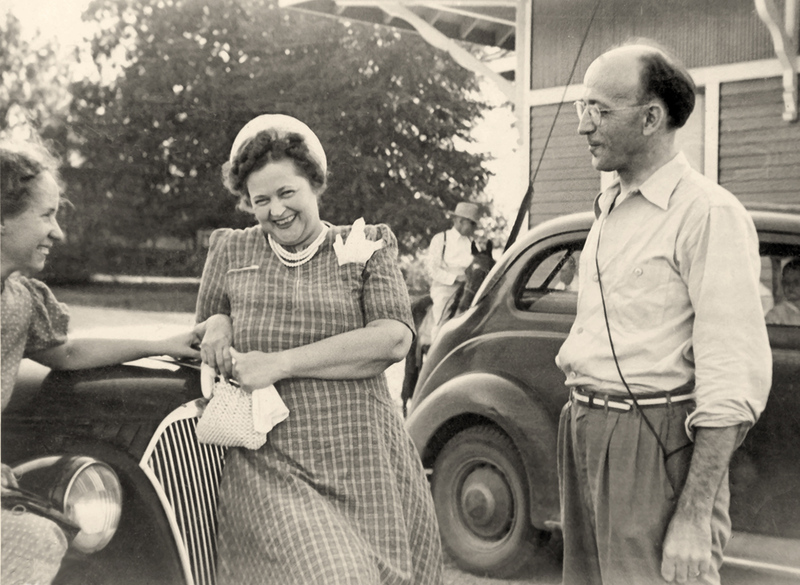 Contemporary Art of the United States: The book includes photographs and biographies of the artists included in the IMB collection at the 1940 World's Fair. 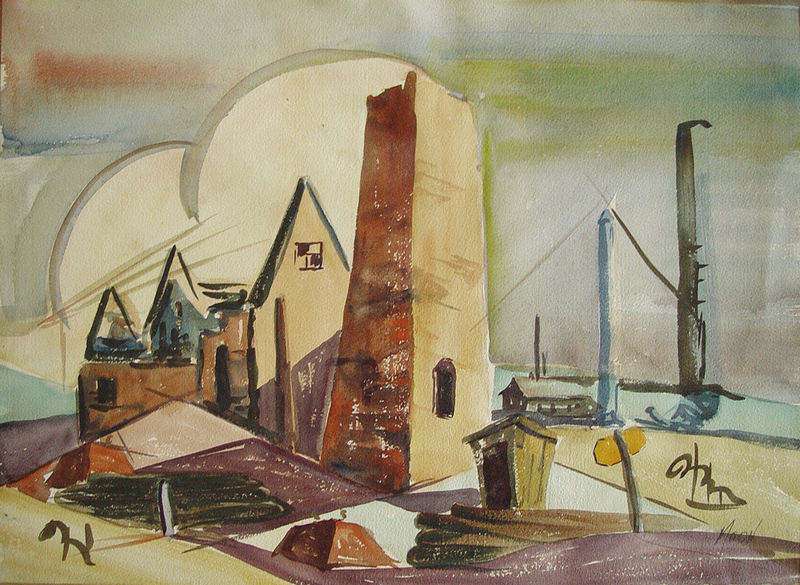 Fitzpatrick is the first artist featured. 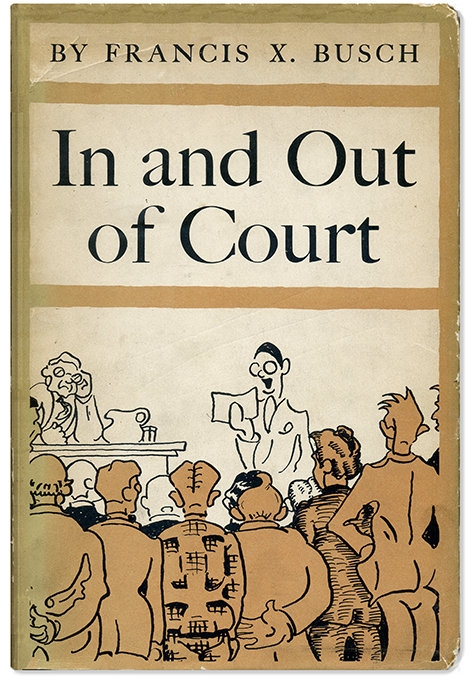 A hardcover copy of the book In and Out of Court, written by Francis X. Busch and illustrated by Kelly Fitzpatrick. A birthday tribute to Kelly Fitzpatrick made by his students at South Alabama's Bayou Colony. 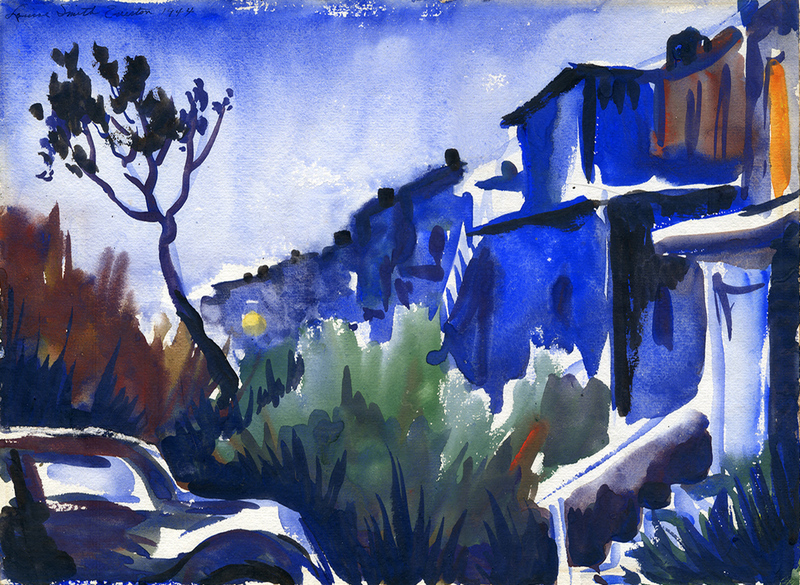 Contains 19 original watercolor sketches. 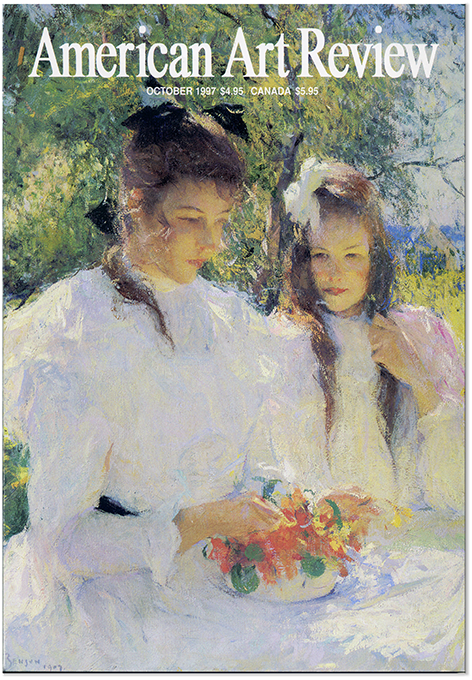 American Art Review, February 2006 which includes works by Dixie colonists Kelly Fitzpatrick, Shiney Moon, Genevieve Southerland, and Alabama Bayou colonists Frances Harris, and Dorothy Boone.